Here's an article I thought was interesting and could be helpful to some.. When I first started learning about cryptocurrency in 2016, I quickly learned there were terms being used that I was clueless about. I had no idea what they meant! Welcome to the world of cryptocurrency jargon! I’m glad you want to learn more about cryptocurrency but there are some new terms you’ll need to learn and understand. The purpose of this article is to help you become familiar with some of the terms you’ll be reading about. Hopefully, by having an understanding as to what these terms mean; it will help you navigate through the crypto space. This is not an exhaustive list. I’m listing the more important ones. ALTCOIN is any cryptocurrency other than bitcoin. BAGHODLER is a trader who has missed his or her opportunity to sell while they were at a higher price and is now left with coins or tokens that have depreciated significantly. 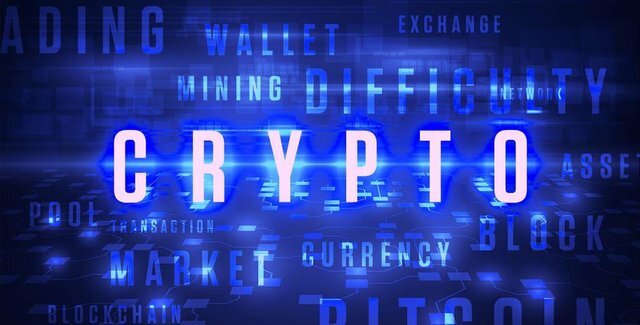 CRYPTOCURRENCY WALLET is a physical device or software which keeps track of your coins and allows you to send or receive them. DECENTRALIZATION is a term in the crypto space and refers to the vision behind digital currencies like Bitcoin, where there is no central authority or body. DUMPING means a downward price movement caused by people massively selling a token. DYOR means “Do Your Own Research.” Don’t rely on other people to tell you how to invest. It’s your responsibility to invest your funds wisely. FIAT refers to traditional printed paper money. FOMO stands for “Fear of Missing Out.” Sometimes traders buy an asset when the price is increasing. They might read some news about a project and buy at a higher price point than what is normally expected. FUD stands for “Fear, Uncertainty, and Doubt.” This is when individuals or organizations spread fake news to create FUD and increase downward pressure on the market. HODL is a term that stands for “Hold On for Dear Life.” If you are a long-term trader, your strategy is to “hold” on to the token regardless of how low the price goes. SATOSHI is the smallest unit of Bitcoin equal to 0.00000001 bitcoin. TA or Technical Analysis refers to reading chart patterns and trying to predict the price movements based on its previous performance using various types of tools and technical indicators. WHALE is an interesting word. It stands for a person with a big account capable of creating large price swings in the market once they decide to sell or move their tokens. In closing, these are merely a handful of the new terms you will be reading about. Take your time and understand what they mean and what implications they have on the cryptocurrency market. There are other terms I could have added here, but my intentions were not to list all the terms! Congratulations @phoneum! You received a personal award!